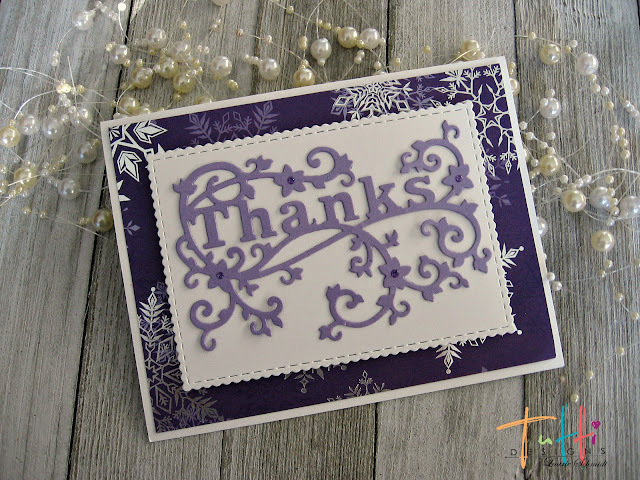 Laurie here from Stamping Up North sharing a Winter Thank you card set made with Tutti Designs Swirly Thanks. I don't know about you, but I sure have lots of thank yous to write after Christmas! 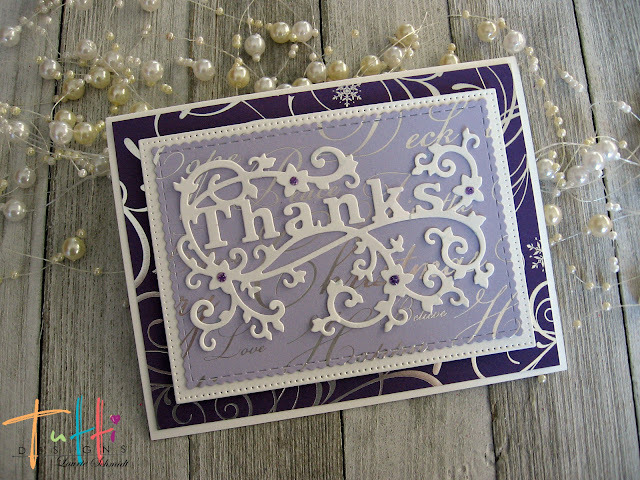 I love the beautiful scrolls on this thank you die. 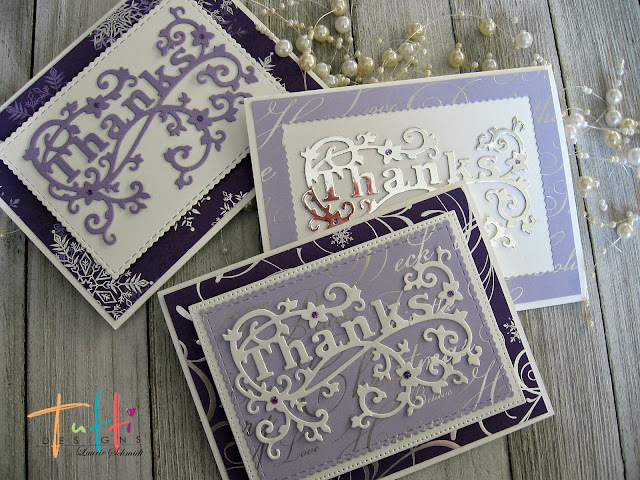 Tutti has several of these sentiments using this design, you can check them out here. 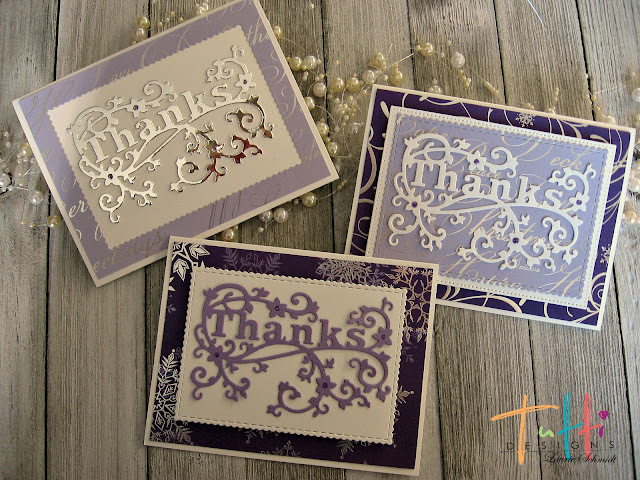 For an embellishment, I added some Purple Rain Nuvo glitter drops to the centers of the flowers on all 3 cards. Beautiful Laurie and perfect for this time of year ... or anytime of year for that matter! Awesome inspiration ... thanks! The perfect quick and simple winter thank you cards! So Pretty, love the silver, and this die is great. These are so stylish and perfect for this time of year.